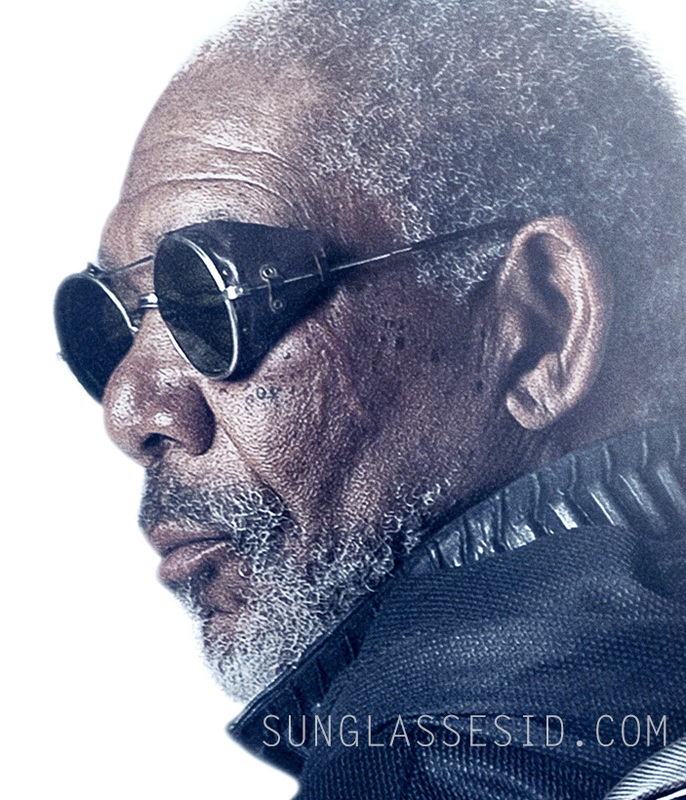 Morgan Freeman looks cool in round sunglasses with brown leather side shields in the movie Oblivion. The glasses are like motorcycle goggles, or aviation goggles. The brand of the glasses has not yet been identified, the shape of the lenses, the leather sides and double bridge looks a lot like vintage Willson safety goggles but they could be a prop made especially for the film. You can still find quite a selection of the Willson glasses on eBay. The glasses and especially the details of the leather sides also look very similar to the vintage American Optical (motorcycle) driving goggles pictured on the left. A brand that still makes similar round glasses including the leather side shiels is Julpo, for example their Vermont Mythic and Vermont Classicsunglasses, but those leather sides are black in stead of brown. In the same film, Tom Cruise can be seen wearing a pair of Randolph Engineering Aviator sunglasses.